Think of a Hindi horror movie and what comes to mind is Ramsay flick with a dilapidated haunted mansion with chirking doors, spider webs and freaking back ground noises and a shabby grey haired witch living in it performing some mojos. But Bollywood really has come a long way. Horror flicks have made a shift to a much urban milieu and introduced new generes like 'find footage' to haunting story telling. Ragini MMS revolved around the video footage of a girl named Ragini. This horror flick was inspired from the 2007 American supernatural horror film Paranormal Activity. Kainaz Motivala and Raj Kumar Yadav played the lead roles in this Horror film. The film was so good that recovered its cost within two days of its release. Haunted was a 3D horror film by Vikram Bhatt. The film was about a house with a secret past and a haunted present. Mahaakshay Chakraborty and Tia Bajpai played main leads in the film. Bhoot was different from any typical Bollywood horror film. The story is of a couple who witness the presence of a ghost in their newly purchased flat. It’s all about how the ghost seeks revenge of her killer. Urmila was excellent in the film. Kaal was based on a tale of wildlife expert and a group of friends who battle against supernatural creatures in the fictional Orbit National Park. Ajay Devgn, John Abrahm, Vivek Obroi, Esha Deol and Lara Dutta played lead roles in the film. Kaal was Dharma Productions first horror flick. 13 B has a tagline that says ‘fear has a new address’. 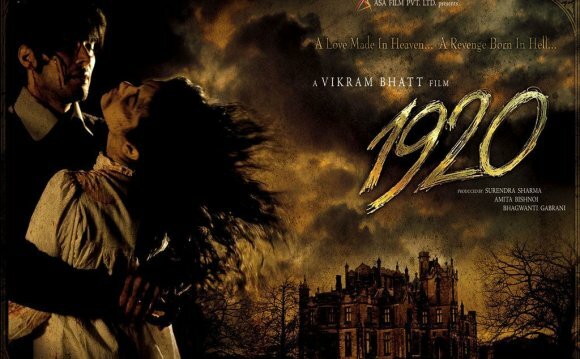 Directed by Vikram Kumar, 13 B had an interesting mystery and gripping plot which made this film a big hit. R Madhavan and Neetu Chandra played important roles in the film. Raaz was one of the most successful films of Bipasha Basu’s career. It was an unofficial adaptation of Hollywood film What Lies Beneath. Raaz was directed by Vikram Bhatt with Bipasha and Dino Morea in lead. Ram Gopal Varma’s Phoonk tackled the theme of black magic. Kannada star Sudeep and Ahsaas Channa played important roles in the film. Yet another horror flick by Ram Gopal Varma. It was sequel of Darna Mana Hai. Darna Zaroori Hai interweaves six stories into one film. Actors like Amitabh Bachchan, Riteish Deshmukh, Arjun Rampal, Randeep Hooda and Bipasha Basu played lead roles in the film. Ram Gopal Varma’s Darling was a horror film with a comic streak to it. Esha Deol and Fardeen Khan played important roles in the film.